Today is an EXCITING day for three reasons. 1. Ambassador Kate DiCamillo will receive the 2014 Newbery Medal for Flora and Ulysses. I predict her speech will inspire everyone in the audience. Someone please pass me a box of Kleenex. 2. Brian Floca will receive the 2014 Caldecott Medal for Locomotive. I predict his speech will make the audience laugh and cry. 3. Debut picture book author and journalist Jeff Cohen agreed to finish my sentences. We chatted about Eva and Sadie and the Worst Haircut Ever, Elanna Allen's illustrations, picture books, and reading. I wrote the words in purple, and Jeff wrote the words in black. Thank you, Jeff! 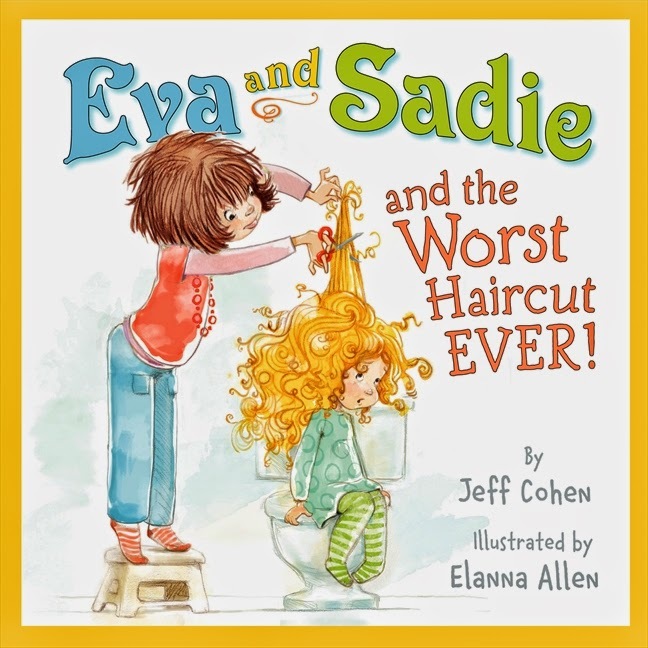 The book trailer for Eva and Sadie and the Worst Haircut Ever! makes me really happy. At first, though, it made me nervous – I wasn’t sure I wanted to put Sadie and Eva out in the public any more than I already had. But the folks at HarperCollins were warm and kind and made it into a super fun experience – with a scavenger hunt in the building! That was awesome. Elanna Allen’s illustrations make the words so much more fun to read. Elanna is seriously talented. You should read her book, Itsy Mitsy Runs Away. The real Eva and Sadie love to read in the car, on the toilet, at the table, on the way to ballet, in bed, when it’s time to go to sleep, when it’s time to wake up, when it’s time to eat, when it’s time to clean up, and when it’s time to get ready for school. And pretty much any other time we let them. As for the books themselves...Eva loves the Amelia Bedelia books, the Mr. Men and Little Miss series by Roger Hargreaves, and Mrs. Noodlekugle. Sadie, on the other hand, spent last summer reading everything she could about Greek gods and goddesses – including the Percy Jackson books. Now she’s on to Nancy Drew, Stella Batts (who has a haircut story of her own), and mysteries. WNPR in Hartford is an amazing place to work. It’s full of creative, supportive, and curious people who are passionate about news and storytelling. My coworkers are also my friends. Which is nice. Picture books are a great way for parents and kids to read out loud together. We like new ones, but we also like to read the same ones over and over and over again. They’re also great homecomings – even though the girls read chapter books, we often go back to the picture books at bedtime. Reading is something I want to do more of. My days as a reporter are full of reality. But I really need more fiction and fantasy and faraway places – the kinds of stories that take my mind and imagination somewhere else for a while. Reality is great. So is dreamland. Mr. Schu, you should have asked me whether I ever thought a bad haircut could turn into a dinnertime conversation heard around the Internet...and then into a children’s book. And my answer? Never in a million. Glad I was wrong. 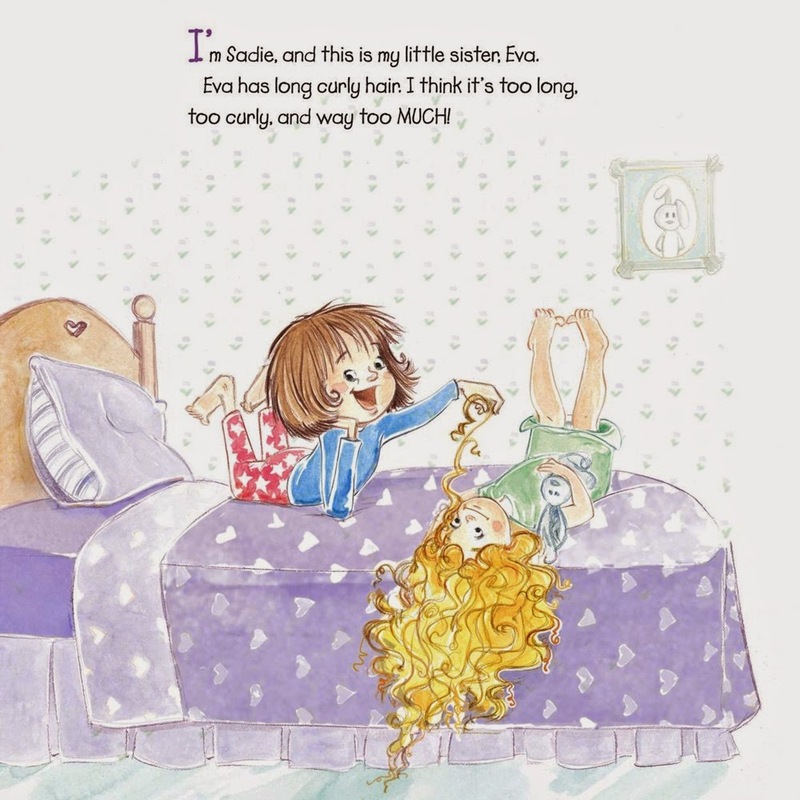 I am giving away a copy of Eva and Sadie and the Worst Haircut Ever! 1. It will run from 6/29 to 11:59 p.m. on 7/1. Borrow Eva and Sadie and the Worst Haircut Ever! from your school or public library. Whenever possible, please support independent bookshops. Yeah for Kate DiCamillo. One of the best writers my children and I love to read AND she's a local to us here in Minneapolis! Thanks for the good work you do John.